[Right photo] Satin fuchsia kaftan dress by Bait Az Zahra. [Left photo] Yellow ombré chiffon silk kaftan dress by Agnes Budhisurya. 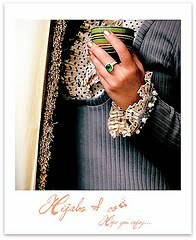 [Left photo] Silk chiffon paisley kaftan dress by Sebastian Gunawan. 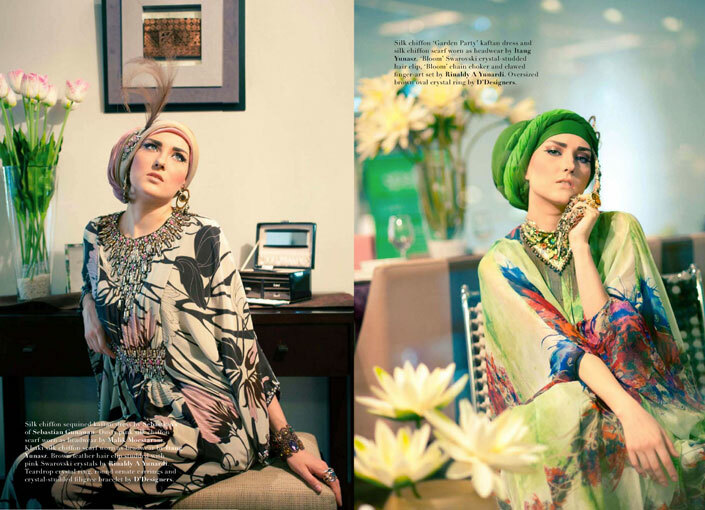 [Right photo] Silk chiffon 'Garden Party' kaftan dress and silk chiffon scarf worn as headwear by Itang Yunasz.